AR Accessibility, Education, Art, Games demos and new startups: AR on mobile keeps showing how much it is going to change our world. Pretty amazed by this week’s news, hope you’ll like them! Also created 2 new categories: Business and Startups sections. DropTalkDev (@DropTalkDev) published a demo of a WIP to type on a keyboard using the brand new Eye Tracking feature coming with iOS 12 by looking at the buttons and blinking. Virtuali-Tee by Curiscope (@Curiscope) that allows to have a full explanation of the anatomy simply by wearing a tshirt and using the app. Not made with ARKit but definitely could have be done with it as well! The app is available right here: AppStore link. Check out the pirate exhibition Georgii Kuznetsov and Andrey Blokhin created on this instagram page. They released an app (Available here) that lets you enjoy an exhibition at Centre Pompidou Museum in Paris, France in another way than the one you see in the museum. Geoffrey Palmer @livingcardsmtg showed off some work in progress of “Magic” Cards getting animations, great work that shows probably the future of cards games. Discovered this interesting other company as well: analytics of everything related to XR with custom very complete reports. Discovered this startup doing all-kind of AR related food products: Menu Presentations, In Restaurant Food Ordering, 3D Banner Ads, they seem to be really well rounded around it! The Metal Expert Warren Moore (@warrenm) published the second part of his tutorial about making a modern Metal app, could be really useful if you’re using Metal in your ARKit App. He goes into details about overs lighting, materials, texturing, and the basics of scene graphs in this one. A complete analysis on the current and future of AR on mobile. 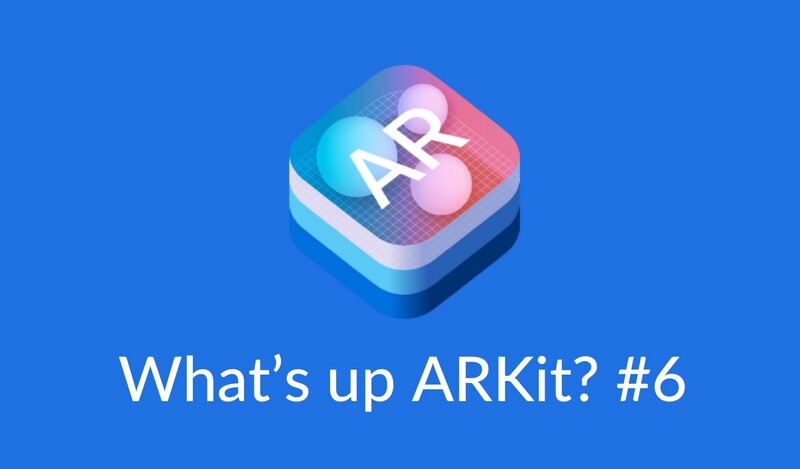 If you were still wondering why ARKit, here is a detail analysis of the subject. Alexey Severin @AlexeySeverin did a pretty fun robot dance with ARKit, I let you discover!